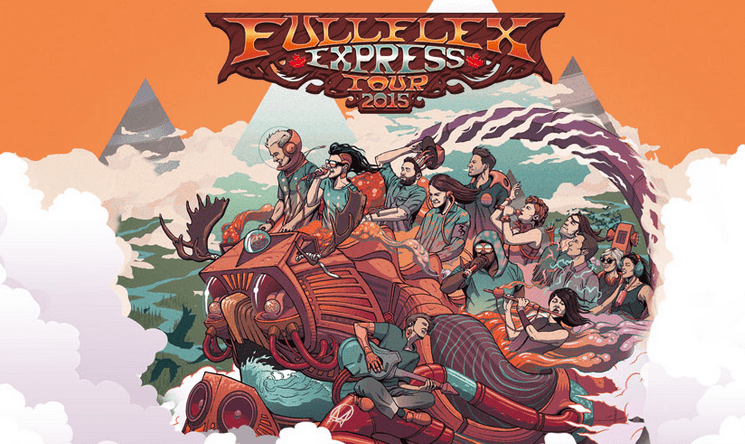 The #FullFlexExpress Tour train stops at Parc Jean-Drapeau Friday. It features performances from artists hand-picked by EDM king Skrillex who recently joined forces with Diplo for a collaborative album under the name Jack Ü. The key to Jack Ü or any Skrillex project is spontaneity. Where their influences intersect is Jamaican soundsystem culture. Since the beginning the Full Flex Express proved creatively fertile. Skrillex, who normally performs in the cockpit of a giant prop spaceship, finished the soundtrack to Harmony Korine’s 2012 movie Spring Breakers, while the Floridian Diplo completed his contributions to producer Dillon Francis’s 2014 debut album. Skrillex expects similar results this time around. Montreal forecast: Sunny skies, high precipitation of killer tracks and a steady breeze of + vibes. Doors 3:00 pm – Show: 4:00 pm. Tickets cost $77.50, $80 the day of the show. Purchase yours from Evenko here.